NPR promoted Emily Littleton to VP of corporate communications, a new position. 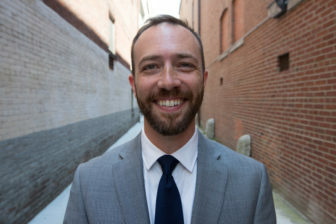 Littleton will oversee corporate messaging, internal communications and audience, community and talent relations. Littleton has worked at NPR for more than two decades in “progressively more senior communications responsibilities,” according to a release, most recently as senior director. 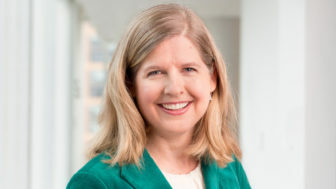 “Emily is a deliberate, smart, and steady communications leader who has been an NPR champion for almost 22 years,” said NPR CMO Meg Goldthwaite. KLRU-TV in Austin, Texas, announced several promotions. The station has named Lori Bolding to the newly created position of COO. Bolding has been KLRU’s senior VP of development since 2013. In her new role, she will oversee the station’s revenue and community operations, including marketing and communications, external relations, development and educational services. Susannah Winslow, membership director since 2014, is the new VP of development. And April Burcham, KLRU’s communications director since 2007, is the new VP of marketing and communications. “With this reorganization, we are taking steps to more closely align our marketing and development messaging, and coordinate and expand our community services and strategies,” said KLRU CEO Bill Stotesbery in a release. NPR’s Elise Hu is leaving the network’s bureau in South Korea to relocate to NPR West in Culver City, Calif. Hu has reported from Seoul since March 2015. “Broadly the plan is to develop a new beat, continue to host my video adventures and fill-in host our radio programs from DC or Culver City,” she wrote in a post on her website. Anthony Kuhn, who has been covering Asia from Beijing for NPR, will replace Hu in Seoul. The network will begin a search for a new Beijing correspondent, according to a memo to staff. 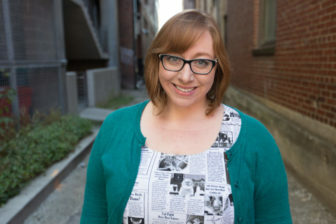 Louisville Public Media has promoted Kate Howard to managing editor of the Kentucky Center for Investigative Reporting. Howard joined the newsroom as an investigative reporter covering higher education and government accountability. Earlier in her career she covered crime, courts and transportation for The Tennessean in Nashville. Howard succeeds Brendan McCarthy, now deputy projects editor at the Boston Globe. Senior reporter Emma Sapong has left Minnesota Public Radio and joined the Rae Mackenzie Group, a local diversity workforce recruitment and retention firm. Sapong created the minority business beat for MPR News in 2016. Previously she was a staff reporter at the Buffalo News in New York. Two reporters have left KUAR Public Radio in Little Rock, Ark. Jacob Kauffman will work as a communications director with the Democratic Party of Arkansas. He’s been with the station since 2013. And Sarah Whites-Koditschek accepted a reporting fellowship with the Wisconsin Center for Investigative Journalism. She joined the station as a local Morning Edition host in 2014 and previously worked at WHYY in Philadelphia. Sherry Skalko joins Injustice Watch Monday as the first full-time executive director of the nonprofit news site. She previously served as director of the Amplify News Project for the Institute for Nonprofit News. Her 25 years in various editorial and leadership capacities includes work with ESPN.com, AOL’s Patch, Tribune Interactive, The Chicago Reporter and the South Florida Sun-Sentinel. Injustice Watch “conducts in-depth research exposing institutional failures that obstruct justice and equality,” according to its website. Stephen George is the new president of Louisville Public Media. George has served as interim president since January, when Michael Skoler resigned. George joined the organization as executive editor in 2015. He led a restructuring of its news operations and oversaw several new initiatives and partnerships, including the regional journalism collaborative Ohio Valley ReSource, a news partnership with the Spanish-language newspaper Al Día en América, and the acquisition of the local events calendar service Do502.com. 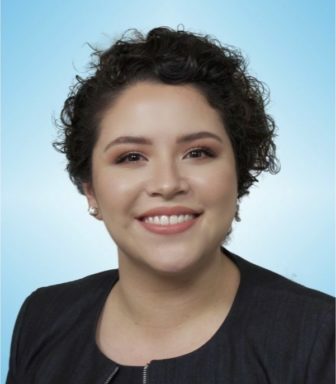 Public Media Women in Leadership has hired Veronica Varela Reyes as its first mentorship and engagement coordinator. Varela Reyes will be “the first point of contact” for women seeking to engage with the group, according to a press release. She will also run the organization’s mentor program, match and facilitate peer groups, and manage social media, communications and events in partnership with PMWL founder Deanna Martin Mackey. Varela Reyes previously worked in the executive office at KPBS in San Diego and worked with the GI Film Festival. She has also worked in public relations.